1. It has been fun watching the long Autumn this year. 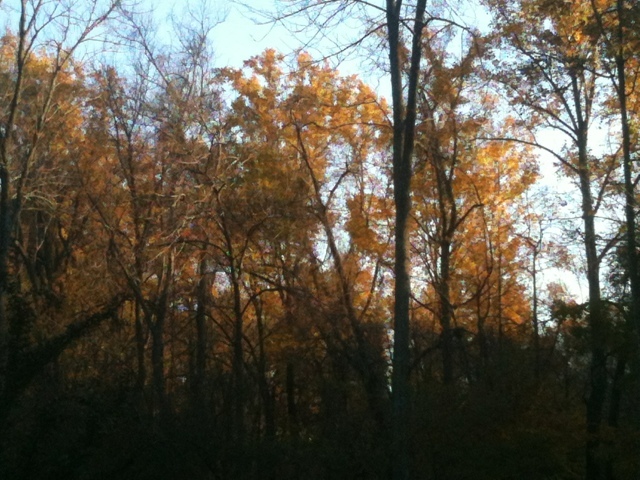 The leaves are lingering on the trees. 2. 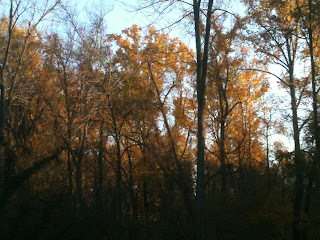 The way the sun has been illuminating the golden leaves on the trees in the evening light has been stunning. 3. The ferocity of the presidential race makes me wonder why anyone would want to be the leader of this nation. 4. Fellowship is the desired state of life. To be in fellowship with each other is a state we should be working toward. 5. The fortunes of football, like life, are transient. Enjoy the winning to overcome the heartbreak of the losses. Tomorrow is new day and we get another chance. Win or lose. 6. The cold mornings are surely a shock to my summertime way of thinking. 7. Some holidays just seem to be rewritten out of existnace. I'm told that the Great Oktober Revolution is no longer celebrated on this day in Russia. 8. The is the week of Vereran's Day. Remember the sacrifices others make to ensure our ability to live as we desire.